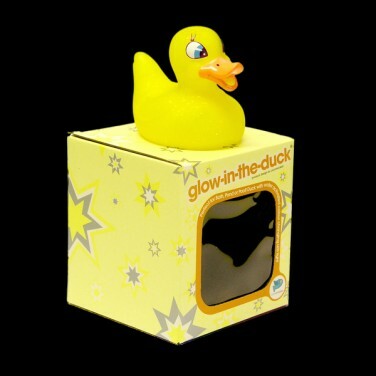 The rubber duck has at last evolved into a super cool, colour changing LED duck AKA Glow in the Duck (what a great name!). 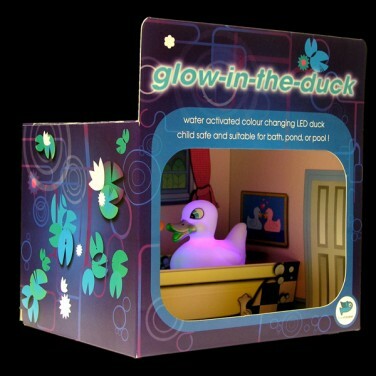 The Glow in the Duck isnt a one trick pony either - the Glow in the Duck is water-activated meaning that as soon as it hits water it lights up in a rainbow of colours. 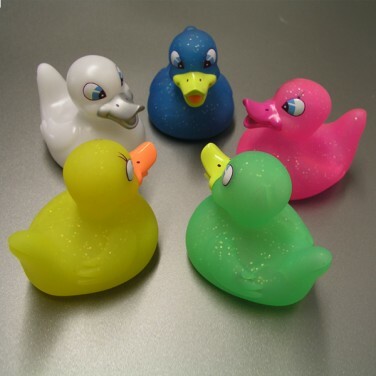 The Glow in the Duck is obviously waterproof & the batteries will last for a staggering 45 hours use - so that should encourage more dips in the bath. 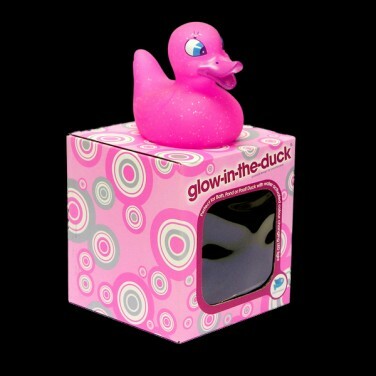 Every bath should have one!